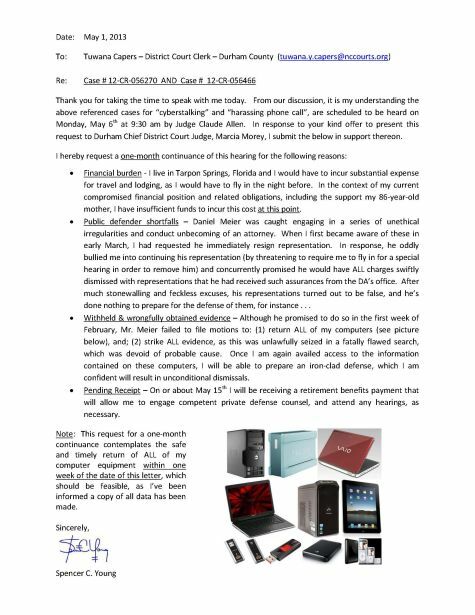 The below letter was emailed and delivered to Durham Chief District Court Judge, Marcia Morey (via her judicial assistant Tuwana Y. Capers) on Wed. May 1st. It pertains to a May 6th hearing on the remaining BOGUS charges (recklessly prosecuted by Durham District Attorney Leon Stanback), which have still not been dismissed, yet made in a desperate attempt to cover-up the felonies of Durham Judge David Q. Labarre and his accomplice and girlfriend, Leah R. Krier. This hearing is a set-up and should NEVER be held. This abuse of authority by public officials must ALWAYS be exposed and NEVER tolerated. Thank you for taking the time to speak with me today. From our discussion, it is my understanding the above referenced cases for “cyberstalking” and “harassing phone call”, are scheduled to be heard on Monday, May 6th at 9:30 am by Judge Claude Allen. In response to your kind offer to present this request to Durham Chief District Court Judge, Marcia Morey, I submit the below in support thereon. · Financial burden - I live in Tarpon Springs, Florida and I would have to incur substantial expense for travel and lodging, as I would have to fly in the night before. In the context of my current compromised financial position and related obligations, including the support my 86-year-old mother, I have insufficient funds to incur this cost at this point. · Public defender shortfalls – Daniel Meier was caught engaging in a series of unethical irregularities and conduct unbecoming of an attorney. When I first became aware of these in early March, I had requested he immediately resign representation. In response, he oddly bullied me into continuing his representation (by threatening to require me to fly in for a special hearing in order to remove him) and concurrently promised he would have ALL charges swiftly dismissed with representations that he had received such assurances from the DA’s office. After much stonewalling and feckless excuses, his representations turned out to be false, and he’s done nothing to prepare for the defense of them, for instance . 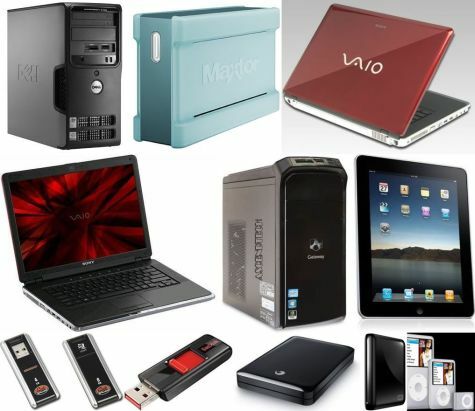 . .
· Withheld & wrongfully obtained evidence – Although he promised to do so in the first week of February, Mr. Meier failed to file motions to: (1) return ALL of my computers (see picture below), and; (2) strike ALL evidence, as this was unlawfully seized in a fatally flawed search, which was devoid of probable cause. Once I am again availed access to the information contained on these computers, I will be able to prepare an iron-clad defense, which I am confident will result in unconditional dismissals. · Pending Receipt – On or about May 15th I will be receiving a retirement benefits payment that will allow me to engage competent private defense counsel, and attend any hearings, as necessary. Note: This request for a one-month continuance contemplates the safe and timely return of ALL of my computer equipment (pictured below) within one week of the date of this letter, which should be feasible, as I’ve been informed a copy of all data has been made.